VILLAS Danae are magic spot for those who wish to enjoy romantic and idyllic holidays in lush natural surrounding, with views across the Ionian Sea and over nearby Lefkada Town. The tastefully furnished interior and exterior spaces, children’s playground area and a beautiful garden offer its guests an unforgettable stay. VILLAS Danae are composed of two villas - Villa Dioni and Villa Phedra. Both are offering comfortable outdoor areas (1300m2) such as private pool, garden, children’s playground and an outside dining area with BBQ facilities. Two private swimming pools (32m2 + 28m2) of an outstanding design and style (1m to 2m max depth) with hydrolysis system, shower and sun loungers offer all you need to relax and cool down during a hot sunny day. Next to each of the pools there is traditional stone built barbecue with a fully equipped kitchen, large table and chairs for the guests to enjoy local delicacies. A flourishing garden is abundant with fur trees, pines, cedar, geraniums and other seasonal plants. These two comfortable private maisonette of 120m2 each can accommodate up to 12 people (6 people in each). In the exterior of the villa you can park comfortably up to four cars. Upon your arrival you will get a welcome package with local products, often homemade, such as local honey, Olive oil etc. The owner is very kind and will make your stay is pleasant and comfortable. Ground floor has an open plan kitchen with dinning area and a sitting area with a traditional Lefkadian fireplace that leads to a veranda. The kitchen is fully equipped with dishwasher, microwave oven, filter coffee maker, espresso machine and toaster. This floor also has WC and a laundry room with washing machine, wardrobe, iron, ironing board and a vacuum cleaner. Second floor has 3 bedrooms and a bathroom (bathtub with additional shower fittings). Master bedroom has a double bed, its own en-suite bathroom and a balcony with a beautiful view over the Ionian sea. Second bedroom offers two single beds that can be joint together to form a double bed. Third bedroom has bunk beds and can accommodate 2 extra people. The ground floor of the villa has an open plan kitchen with dinning area and a sitting area with a traditional Lefkadian fireplace. The kitchen is fully furnished and leads to an open veranda. This floor has a toilet and a laundry room fully equipped with washing machine, wardrobe, iron, ironing board and a vacuum cleaner. The second floor comprises 3 bedrooms. The master bedroom has a double bed, own batroom and a balcony with a beautiful view of the Ionian Sea. The second bedroom offers two single beds that can be joined together to form a double bed. Through this room you enter the third bedroom with a double bed with own bathroom. There is one more common bathroom at this floor (bath with additional shower fittings). Built in 2014, VILLAS Danae are in an absolute harmony with the unique natural beauty of the area. A small vegetable patch complements local beauty, whilst ponies, deer and wild goats will transport you to a magical world of nature. 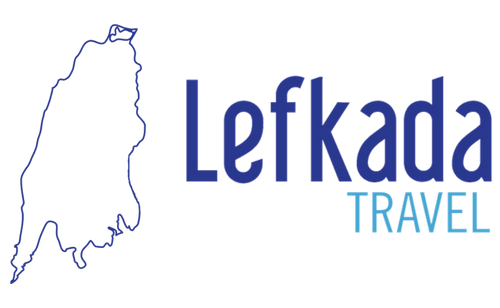 At the same time, only 2 minutes drive takes you to the bustling town of Lefkada; and a 10 minutes drive takes you to popular Nidri area. Both Lefkada and Nidri town are offering to their guests variety of traditional taverns, shops, bars and ample nightlife choices. Come and enjoy your dream holiday on beautiful Lefkada Island in VILLAS Danae! Our selected portfolio of partners is ready to provide quality services such as babysitting, chef at home, massages, yoga, boat rentals (sailing or speedboat), car rentals, mountain biking, sea kayaking, scuba diving or hiking in Lefkada hills. Our team will be available upon your arrival to introduce you the villa and the Island and will guide you through various activities and sightseeing options you may want to enjoy during your stay.